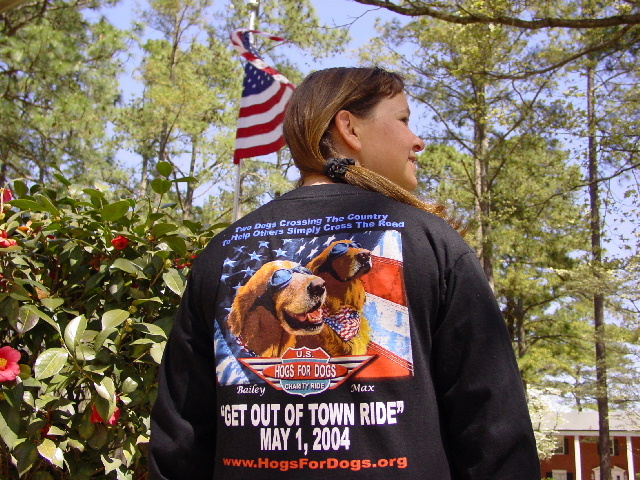 "Hogs for Dogs - Entry 03 Page"
A lot has happened since our last journal entry and the days leading up to our big kick-off events in Raleigh are quickly passing us by. 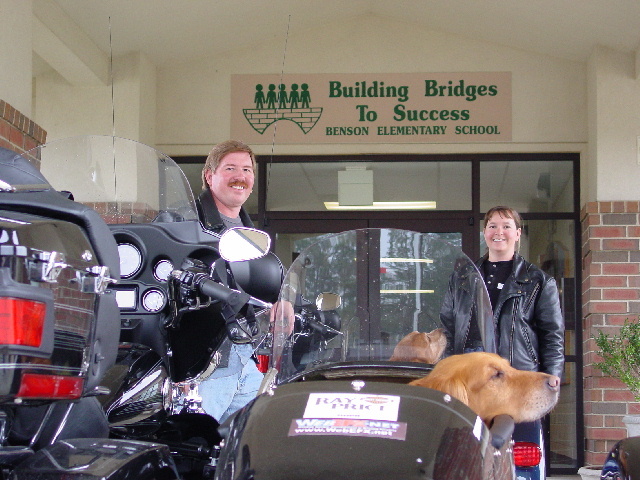 We had the opportunity to speak with almost 100 fourth graders at Benson Elementary School on March 18th and were delighted with their support for Max & Bailey's ride; several more school presentations have been scheduled for stops around the country. 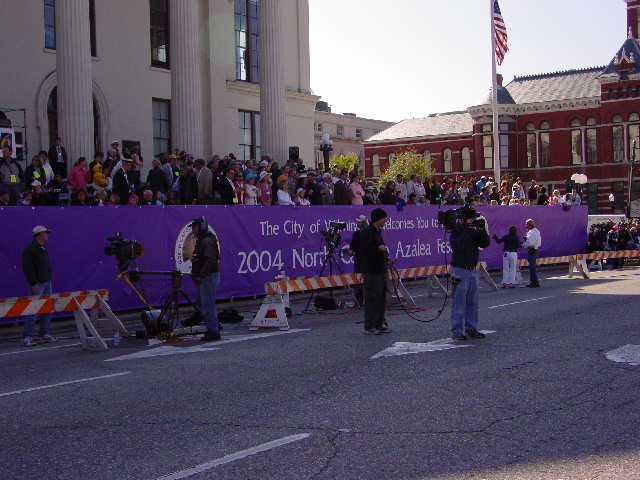 We have also had several more print articles and another TV interview to help publicize the 2004 Ride Across America. 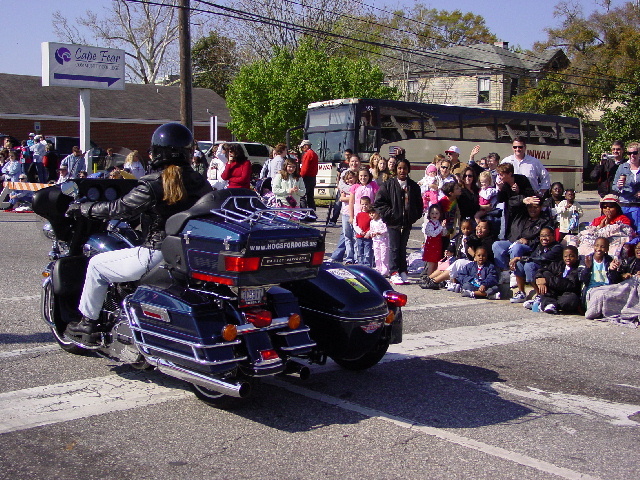 The details for our April 23rd auction and May 1st ride are coming together nicely and the groundswell of support from volunteers across the country has been overwhelming. There's also been a great demand for our new t-shirt with Max & Bailey on the back. But while all that is exciting and interesting, something happened yesterday that made me completely rethink the topic for this journal entry. 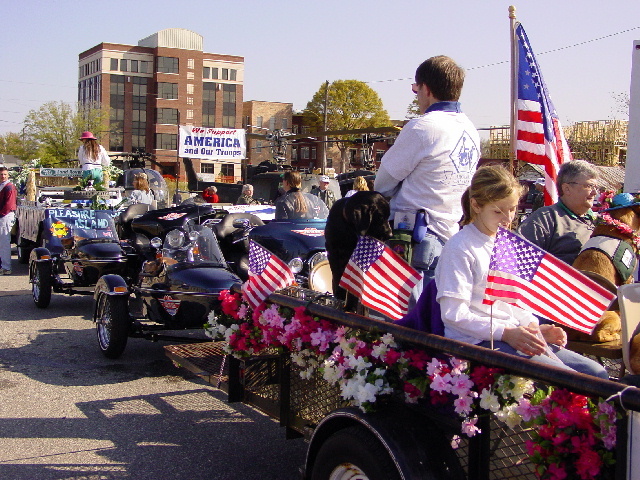 Yesterday, at the North Carolina Azalea Festival Parade, I met a man that I could really look up to. That may seem unusual, however, because I had to look down to speak with him since he was unable to rise from his wheelchair. 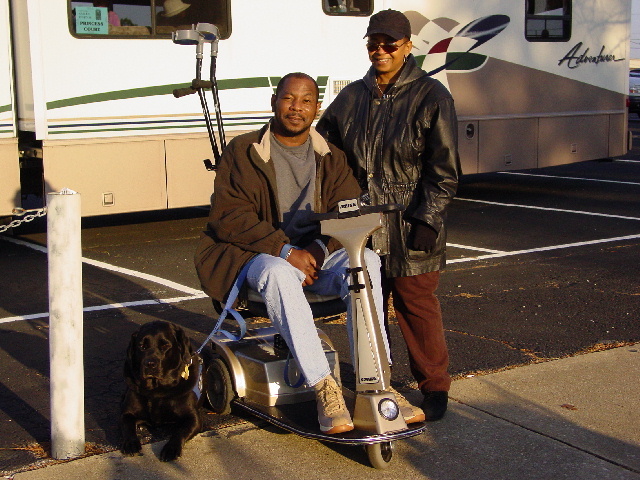 He has no use of his legs due to Multiple Schlerosis and is dependent on a motorized wheelchair for his mobility. His name is Edmond Kent. 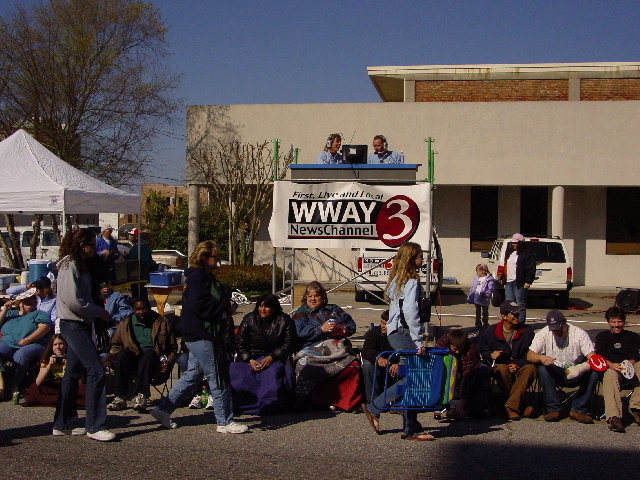 I was immediately drawn to Edmond in the early morning hours as we waited to ride in the Azalea Festival Parade. 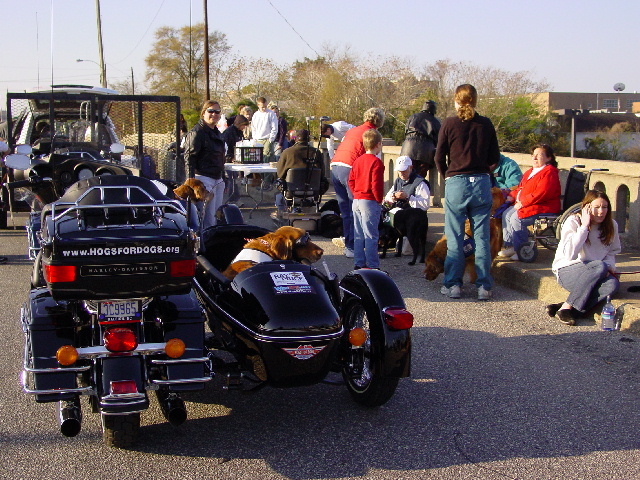 He arrived almost unnoticed at the designated parade gathering spot, where Carolina Canines - one of our charity partners - was assembling for the parade, and he simply sat off to one side of the sidewalk, out of the way of passerby traffic. Yet, his quiet confidence, bright spirit and silent determination left a palpable feeling in the air from the first time he smiled and said hello. 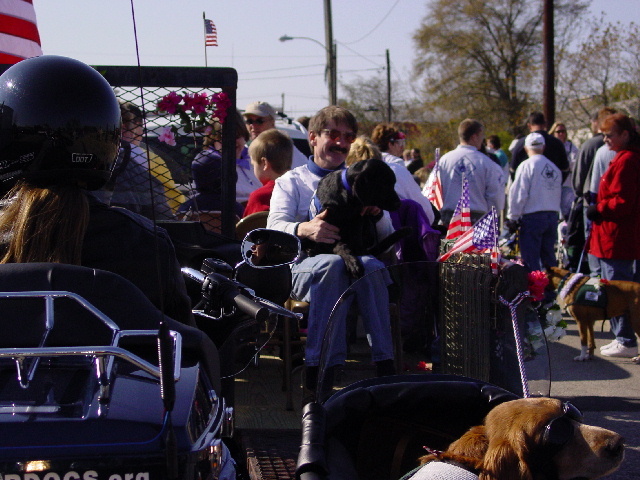 He had come to march in the parade with his wife Brenda and Gideon, his Assistance Dog that was trained and provided by Carolina Canines. Edmond told Janet and me how he and Gideon first met. 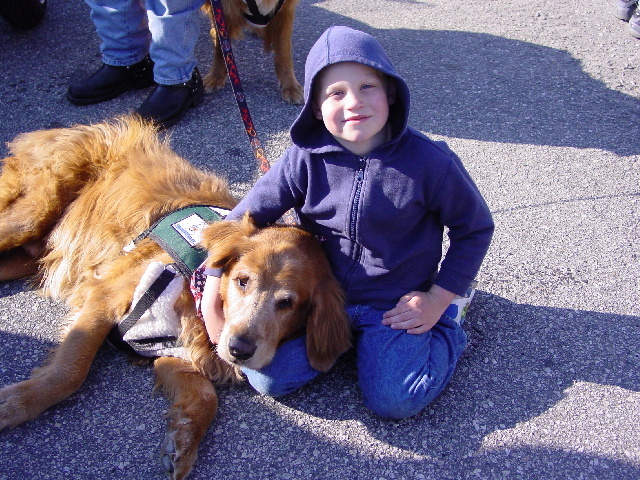 Carolina Canines had worked with Gideon for his initial training for several months before he and Gideon were introduced. 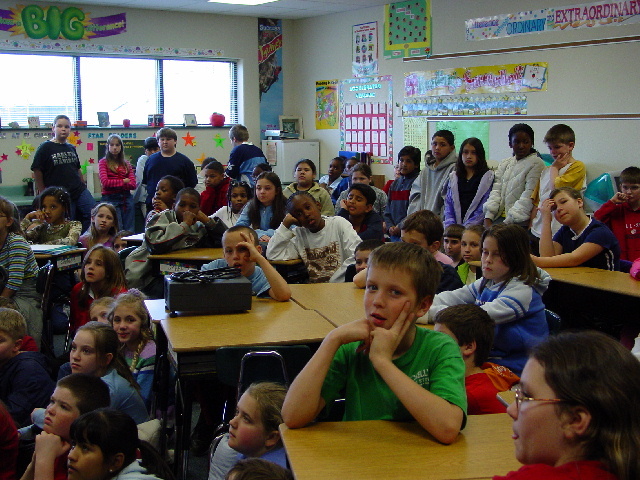 At the introduction, there were four clients in the room. Gideon walked into the room and immediately walked up to Edmond. 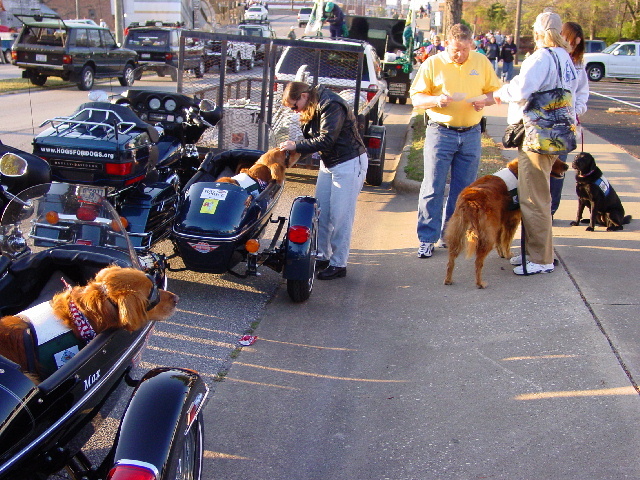 And although Carolina Canines had already decided that Gideon would be placed with Edmond. Nobody had told either of them. Gideon just seemed to 'know'. Their partnership continues to have that unique bond that is sometimes unexplainable by simple logic and understanding. 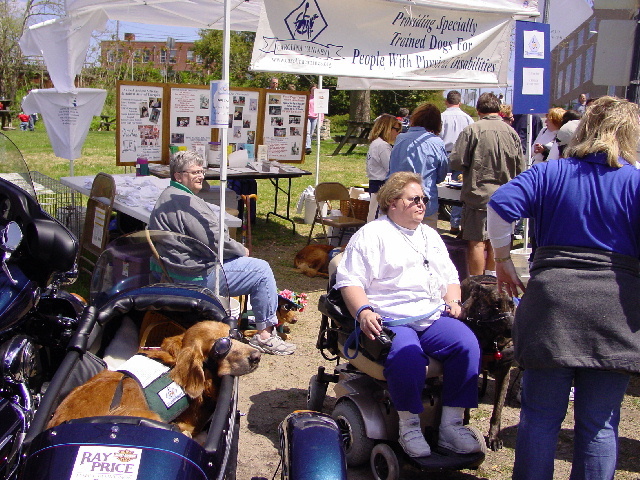 But it wasn't until Gideon's trainer Cynthia Mackie joined the conversation that we learned how this partnership of man and dog had changed Edmond's life. 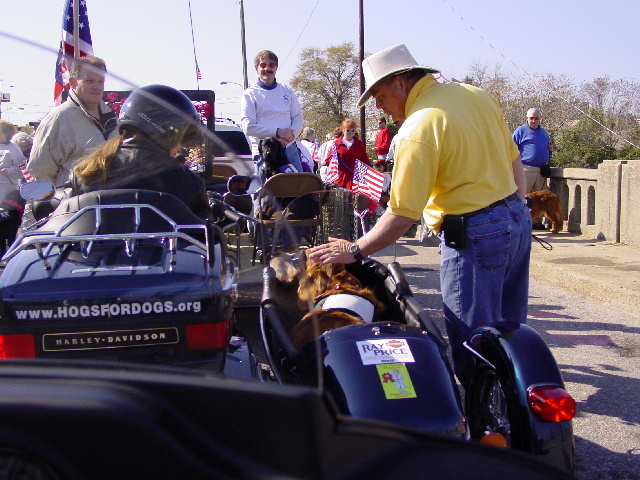 I'll admit to you that I was wondering just what Edmond was doing with a service dog because he had great use of his upper body and hands. What could Gideon really do for him? Well, my ignorance was rewarded with a story of how prior to Gideon's placement it would take Edmond almost two full hours to get back into his wheelchair when he would fall. Two hours of dragging himself to the nearest wall, pushing himself back into a sitting position and then struggling to pull himself into his chair. Without the use of his legs, Edmond would be exhausted after such a fall. Enter Gideon. 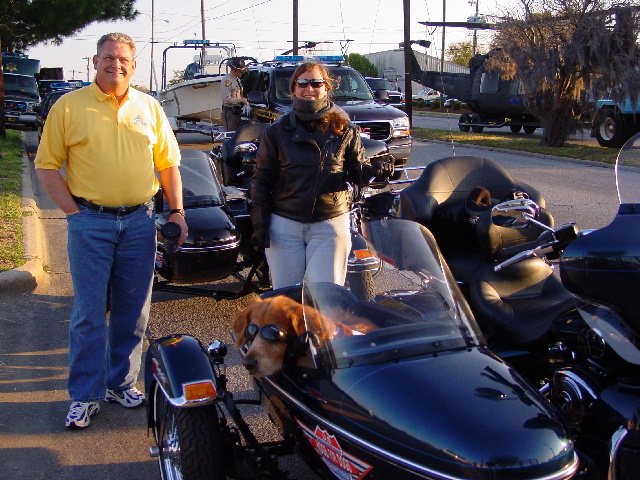 During their first training session, Cynthia asked Edmond what was his most difficult task. Edmond mentioned the long struggles after a fall. Cynthia then said, "let's see it" and put Edmond on the ground with Gideon. Gideon spent a while trying to figure out how to help Edmond back into his chair, but eventually they worked it out together - in much less than two hours. With great joy and satisfaction, Edmond rewarded Gideon by praising him with the words, "You're the man, Gideon. You're the man." I feel very fortunate to have met Edmond. Having learned the depth of his daily challenges, I was impressed with how his perseverance keeps him going with a positive outlook on life and a smile for all those around him. 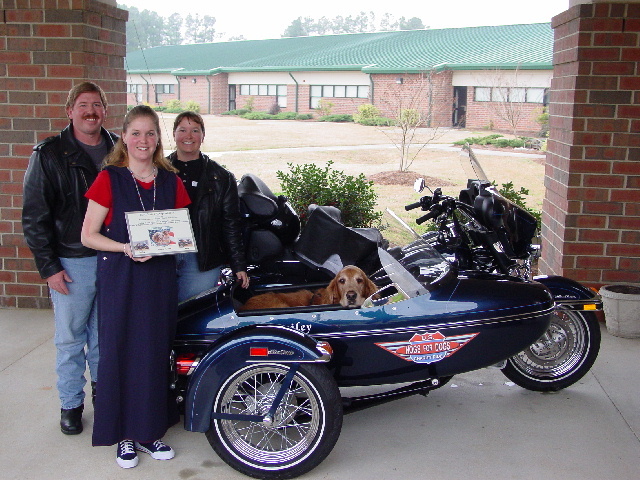 And though I think Gideon is an amazing dog, I'd like to say something to Edmond in this journal - "Thank you for your inspiration and for reminding me that this ride is about helping people reclaim their independence." And lastly, "You're the man, Edmond. You're the man." 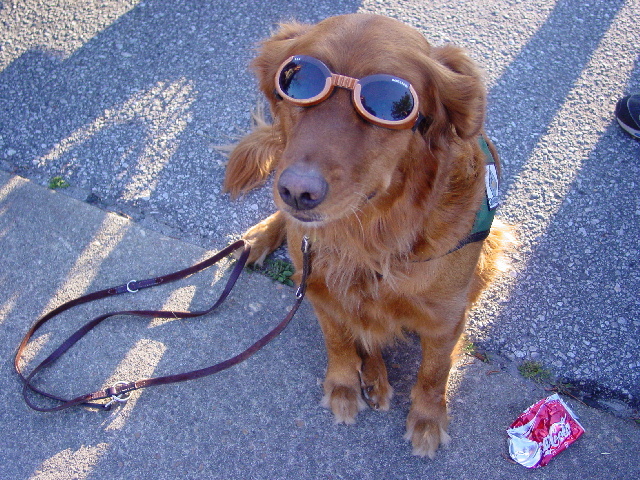 So with less than a month to go before we begin this 25,000-mile journey for charity, I have another role model to help keep me focused on how important it is that we succeed in educating the public about the largely unmet needs for Assistance Dogs to be trained and placed with people just like Edmond. And while words and education help improve the understanding of these needs, it takes donations to solve the problem; donations from people like you and me. I made another financial donation today. I'm now asking you to do the same. If you're still struggling to decide whether you should make a donation today, why not try falling on the floor and then spend the next two hours getting back into a chair without using your legs before you decide. And it's not fair to ask your dog for help because without your donations there won't be any Assistance Dogs to help the millions of Americans who are waiting to have a Gideon of their own. 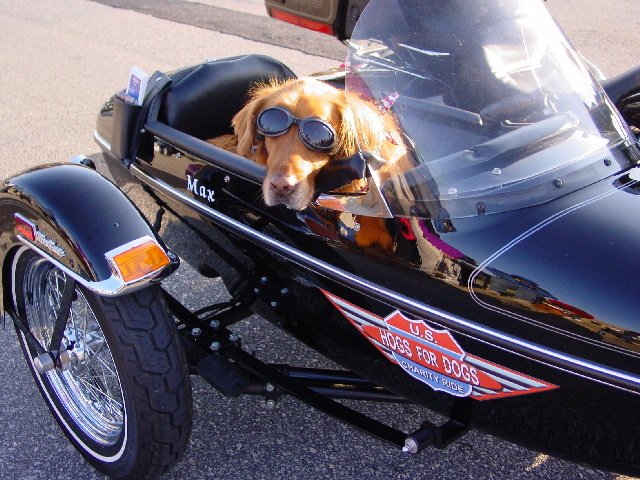 I want to wish Janet, Max, Bailey and you lots of luck and success on your ride across America. I was very moved by your recent journal entry concerning Edmund Kent and Gideon. Anyone with feelings would have been moved, but I have a more personal reason. You see, Gideon [formerly known as Mr. Turquoise] was born right here in my dining room! While planning this litter, I knew from the first, I wanted to donate a puppy for service work and hope to donate more puppies in the future. While I have never met Edmund I can tell from his picture and all the descriptions I've read about him, he is a special person and really loves and appreciated Gideon. If you run into Edmund again, please feel free to pass along my email and ask him to get in touch. I'm attaching a picture of Gideon before he was famous!